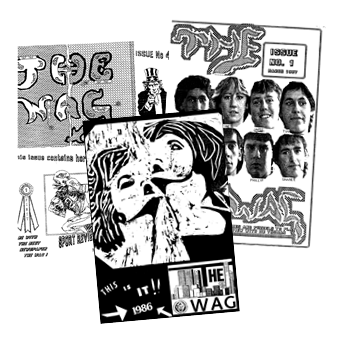 The Collingwood Technical School/College Wag magazines were student-produced publications presenting quizzes, horoscopes, interviews and other creative articles and news items. If you have any copies of The Wag Magazines and are willing to scan and send them as a digital copy, please contact me via email at ctcwebsite@outlook.com. Or if you have any editions which you are able to lend to me, I would be able to scan and upload a digital version to this page and return them to you.